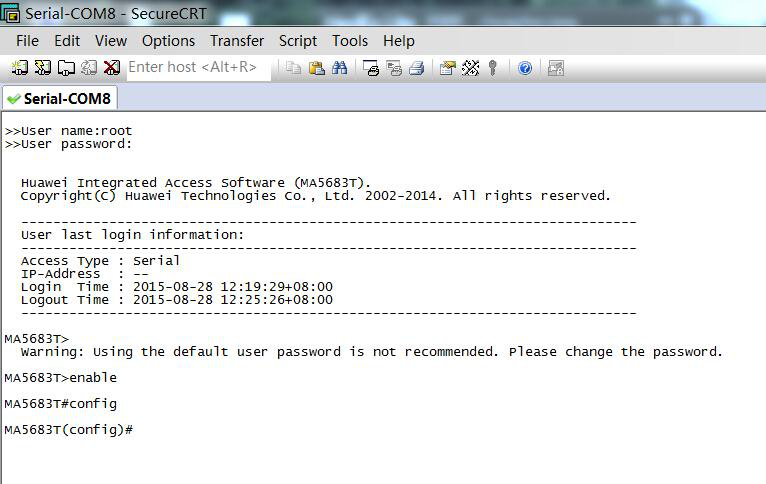 How to Login Huawei OLT Through Local Console / Serial Port ? When you need to maintain and manage the Huawei equipment ( include OLT / MDU / Switch / Router and so on ) locally, you can log in to the system through the local serial port. 1. 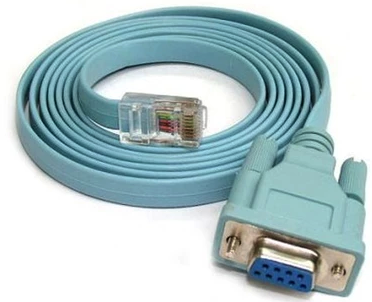 Hardware: Computer, serial port cable, a serial port turn USB cable (computer without RS232 interface). 2. 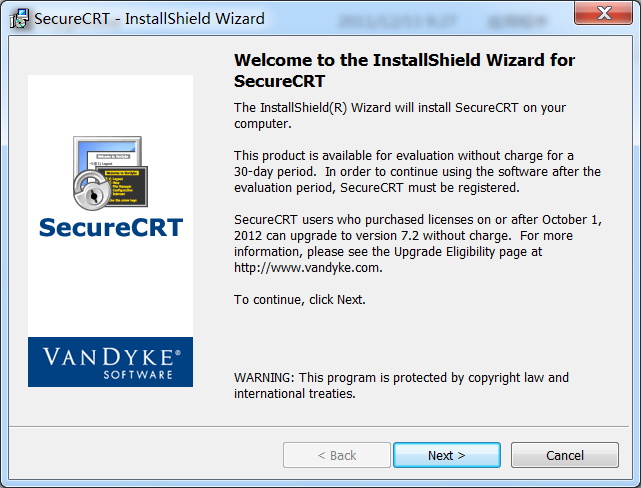 Software: serial port driver (with serial port), Putty, Xshell, Secure CRT or HyperTerminal application. Connection mode: RJ45 connector connected to the Console port equipment, through RS232 joint connection among them, the USB is connected to the computer. Download and install the software, select the default Settings. out the inserted COM port, for the next steps. Port is read out by the previous step of native COM Port, it is assumed that as the COM8, baud rate to 9600 – bit/s, bits of 8, no parity, Stop bit is 1, no the data flow control. After click connection, which will be shown below, enter account and password interface. 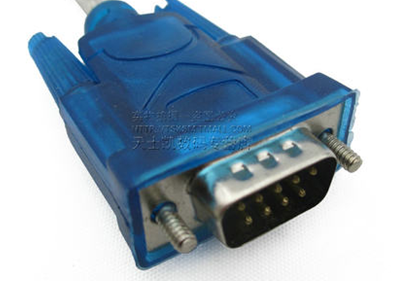 (1)The baud rate of the CRT (or HyperTerminal ) must be the same as the baud rate of the serial port on the equipment . By default, the baud rate of the serial port is 9600 bit/s. 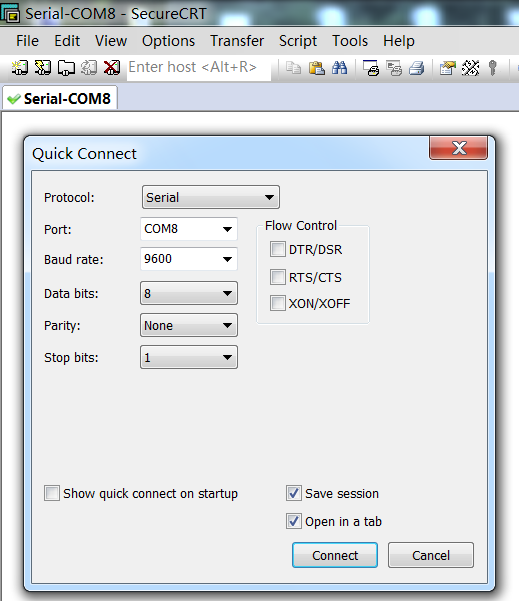 (2)Select the right serial port that is connected to the equipment. You can select COM1 or COM2 (here, use COM8 as an example). (3)If illegible characters are displayed on the CRT (or HyperTerminal ) interface after you log in to the system, it is generally because the baud rate of the CRT (or HyperTerminal ) is different from the baud rate of the different equipment. In this case, set the consistent baud rate for the CRT (or HyperTerminal ) to log in to the system. The system supports the baud rates of 9600 bit/s, 19200 bit/s, 38400 bit/s, 57600 bit/s, and 115200 bit/s.